A bespoke floor to ceiling wall was created by Allplastics Engineering to separate two areas at the EY WaveSpace office in Sydney. EY WaveSpace is a global network of growth and innovation centres, helping clients achieve radical breakthrough in business transformation set within differentiated work spaces. 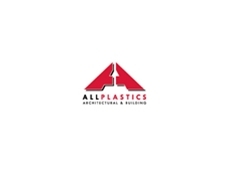 Architecture firm Group GSA explored a range of materials offered by Allplastics before selecting Plexiglass Satin Ice Snow for the interior application, keeping in mind the tight delivery schedule and demanding design considerations. The materials were custom made and expertly CNC routered by the Allplastics Architectural & Building division. Virtually every blade was customised to meet the unique requirements of the installation at 200 George Street in Sydney. 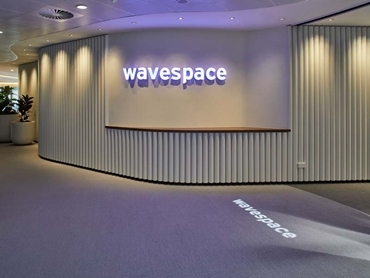 Blades of 10mm thickness, fabricated from Plexiglass in cleverly designed curved shapes have been arranged to create a floor to ceiling ‘wave’ to subtly segregate two areas of the EY WaveSpace. The project was expertly managed by the Shape Group and professionally installed by MOJ. Justin Abagi of the Shape Group said, “We thank the Allplastics team for their cooperation in achieving a wonderful outcome for our client. “Time constraints and unconventional designs were professionally handled by their production team,” he added.